We are officially on the road, off the road, and then back on it. Our first stop was Lake Tahoe where we had the most heart warming send off in the company of our favorite humans. We played a little music, did some boot stompin’ and overall felt the love as we all joined in on the chorus of “Wagon Wheel.” And in the mornin’ we set off to our next location, Denver CO. But not without a few bumps in the road. In the wee hours of a foggy tuesday morning (march 12) Gloria Southwind was less than honest with her gas gauge, which sent the whole project to a puttering halt on the side of I-80, 20 miles west of Wendover NV. Luckily for us, the good ol’ boys at the Nevada Department of Transportation dropped by, curled up their mustaches and went to work donating 15 gallons of gas and a couple sprays of ethanol; for which we’d like to thanks the honest tax payers of Nevada. Soon after, we rolled into Wendover, got some gas and rumbled out of town on the Utah state side. 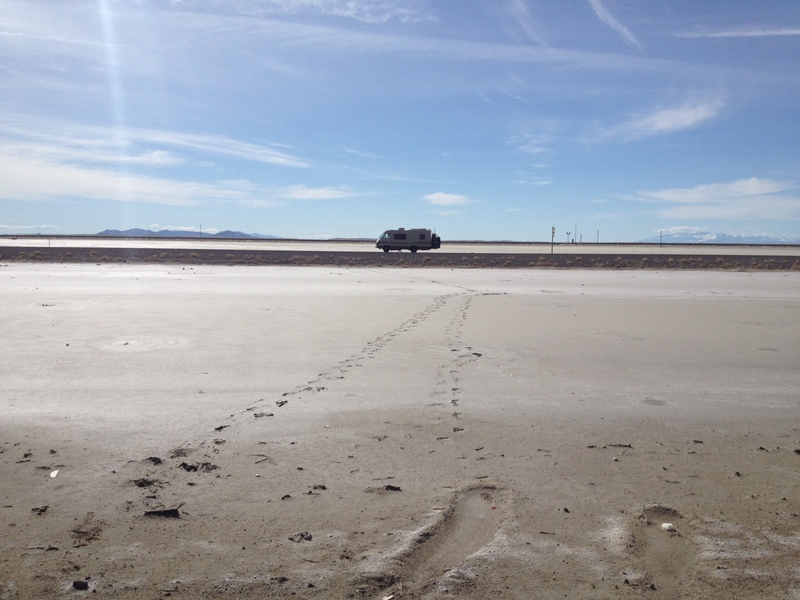 35 miles into the famous Utah salt flats, Gloria, not so unpredictably sprung a deluge of motor oil and skipped out of gear. For the second time that morning we found ourselves stranded on the side of a lonely american highway, in the belly of a mechanically destitute matchbox. Unfortunately the Utah DOT was less obliging than their Nevadian brothers, so we were left to our own devices as the Utah sun rose over the sparkling landscape of salt. The only way forward lay 35 miles behind us, in a small town in which the mayor could both change your spark plugs or rent you a uHaul. 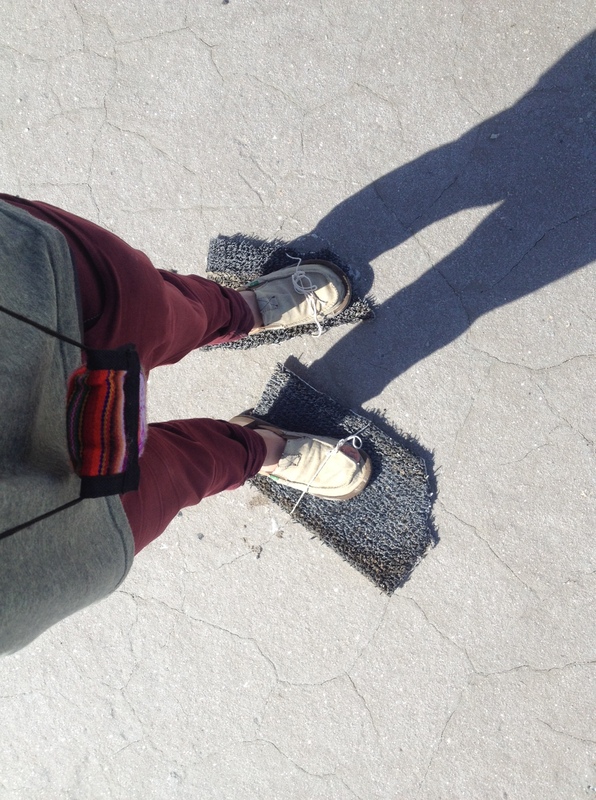 So Robbie and Dan strapped some roadside debris to there feet and set off across the muddy sink hole divide between the east and westbound traffic, where thumbing a ride was the only salvation. 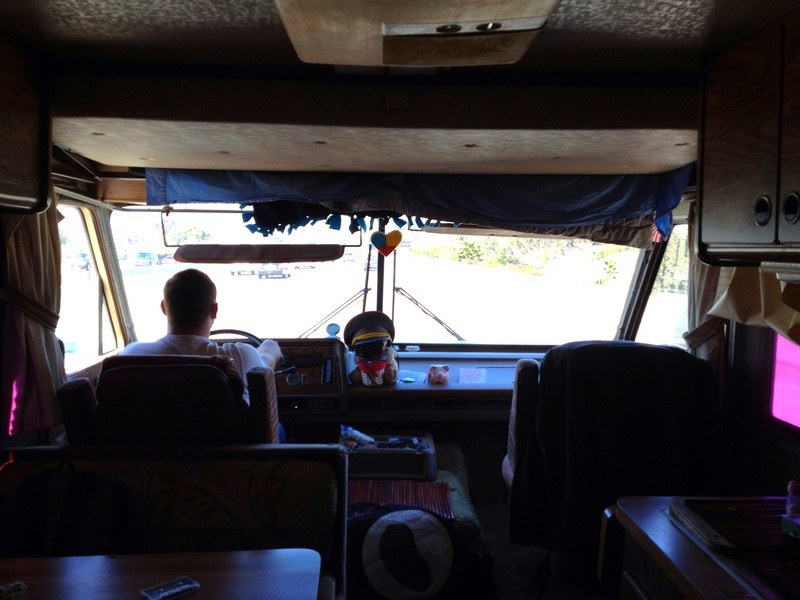 Rob was left to protect the RV from desert marauders and saline oxidation. After internet savvy Seargent of the Utah highway patrol checked out “TheodoreLovely.com” at 90mph with his knees on the wheel, he dropped off Robbie and Dan at the Wendover Mayor owned auto parts store. After a long, hot afternoon of wandering the streets, bartering for repairs and trade ins, Robs Dad stretched out his hand of influence from the east coast and set up a tow and a rental car to get us to Denver in time for our show. 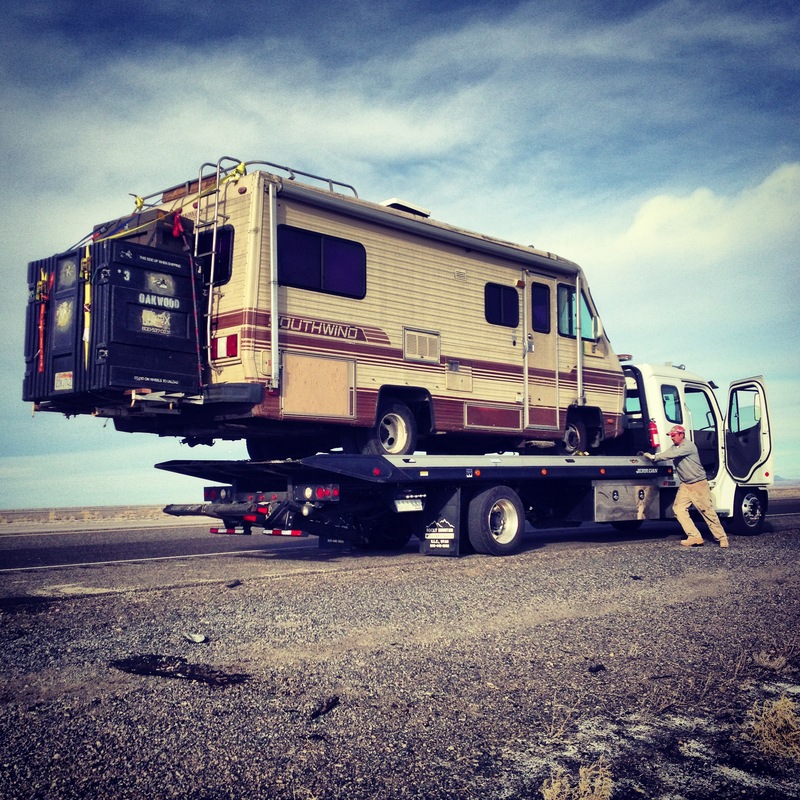 As of now, Gloria is getting diagnosed and repaired back in Wendover. But do not fret, we’ll be reunited and on our way to Austin, Texas by friday! Big ol’ thanks to Robbies parents in Reno and Robs Auntie in Loveland for giving us beds and nutrients during our stops. 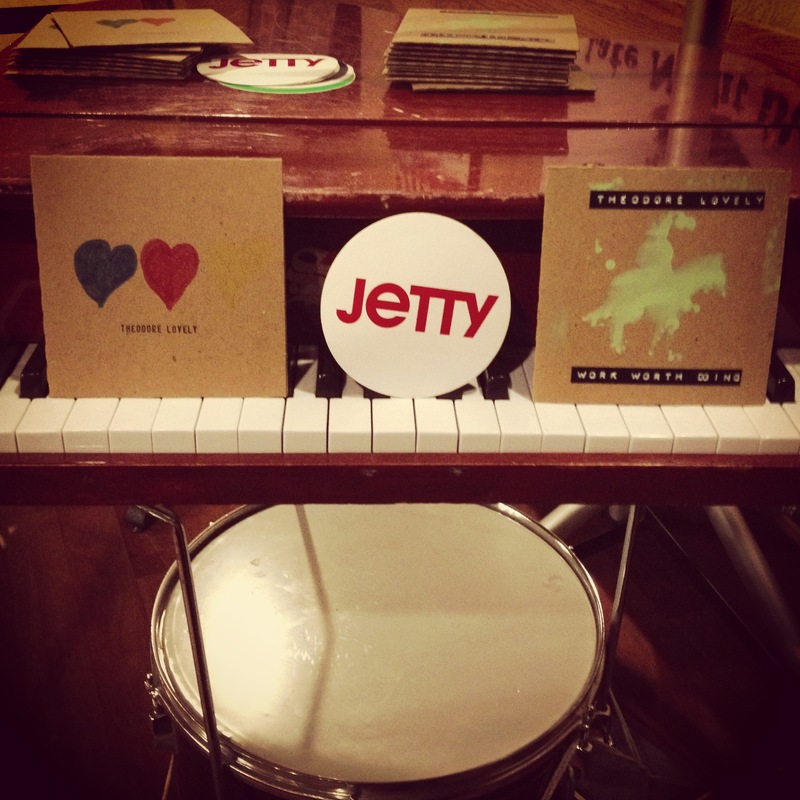 Also, a big ol’ shout out to the quality boys and girls over at Jetty and JettyLife.com for all their support. If you’d like to help us out we made this safe and secure paypal donation doo-hicky! ← “The Heart Leads the Way” Tour and Our First Official Music Video! Don’t let this stop you, boys! Bigger things ahead of you will make all worthwhile! And, hey, it’ll give you lots of things to talk and laugh about later on…maybe even a song or two!!!! Keep heading east and we’ll see you in NY/NJ.